Free Shipping Over $40 always no code required. Always add your free Avon brochure at check-out as well, it’s FREE always when you shop at my eStore. Check out Special Free Gift offers, Coupons & Free Shipping offers here. Avon Coupon Codes: CLICK HERE! Don’t forget to add your FREE Complimentary Avon Brochure in the cart. Activate your EBATES account to receive cash-back while shopping online. They will send you checks 3-5 times a year. What is EBATES? See it here. You may want to check out your Avon Outlet post on your past, present, & future post here as well. Why back-ordering? Because you may find better sales, promos on previous campaigns. Enjoy! Browse The Avon Campaign 18 catalogs by clicking here. Write down the Avon campaign number and the product ID numbers of the products you wish to purchase. 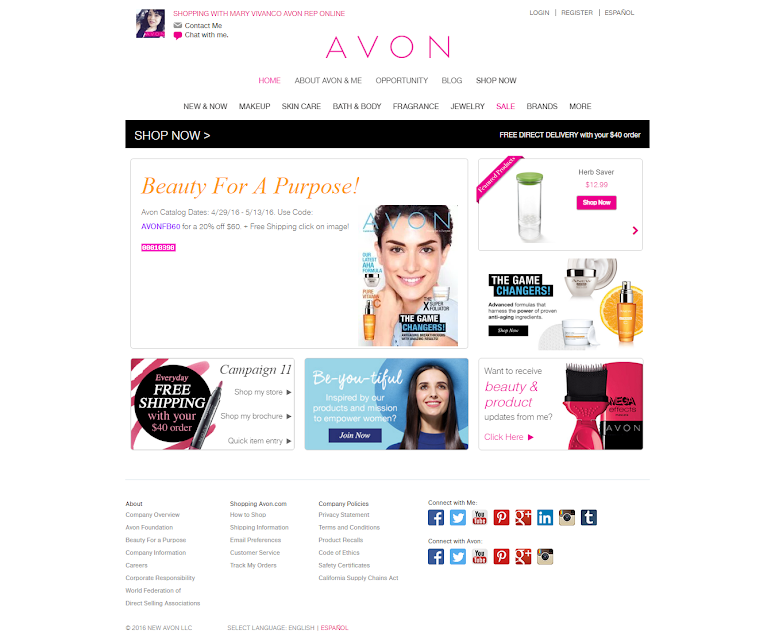 Click here it takes you directly to the Avon Shop by Product Number page. Shop AVON Bundle & Save. Think Gift Ideas!